BCOM can assist students who are looking at housing options in the City of Las Cruces. Contact the Office of Student Affairs at 575-674-2225 or at studentaffairs@bcomnm.org for more information. At the center of innovation in Las Cruces is a brand-new community. Although not owned or operated by BCOM, The Flats were designed with students in mind. Residents can enjoy a variety of exceptional amenities and an unparalleled location just minutes from the BCOM campus. Plus, our convenient by-the-bedroom leasing offers a hassle-free living experience. Relax after class by our resort-style pool, or deep dive into coursework and research in one of our individual study rooms with large wireless projection monitors and whiteboards — the choice is yours. The Flats at Ridgeview is owned by a limited liability corporation. BCOM has no ownership nor is it responsible for the operations. To ensure professional management, the ownership has contracted with Campus Advantage, a nationally recognized multifamily management company. As a result of being a proud donor to BCOM’s student government association, Campus Advantage is allowed to advertise on this webpage and conduct internal promotions. Burrell College of Osteopathic Medicine (BCOM) and New MexicoeState University have entered into an agreement to provide affordable and convenient student housing just a few blocks away from Burrell Las Cruces campus. We are reaching out to provide more information about this exciting opportunity. For more than 45 years the name “Steinborn” has been synonymous with Las Cruces homes. Steinborn & Associates Real Estate has consistently led the Las Cruces real estate market in sales volume. We are the most comprehensive real estate company in Las Cruces offering our customers residential, commercial, mortgage and property management services. When choosing us to represent your real estate needs, you will receive Steinborn & Associates guaranteed customer service with a trusted advisor and skilled facilitator. 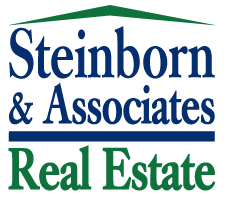 Steinborn & Associates Real Estate, The Experts on Las Cruces Homes. 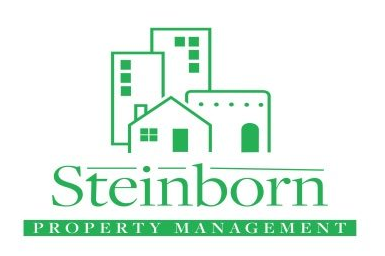 Whether you are looking for property management for your home or investment property, Steinborn Property Management is a full service property management firm servicing Las Cruces and the surrounding areas. We offer comprehensive and cost effective management solutions for your home or investment property. We handle rental responsibilities such as finding a tenant, showing the property, collecting rent, maintaining the property, and responding to emergencies. Apartment Guide connects apartment consumers to their ideal place to live. With an unmatched search capability, amplified by constantly refined tools and industry insights, Apartment Guide provides consumers with a clear and simple guide to apartment living through content-rich apartment listings in a user-friendly format with Internet, mobile and social media solutions. VRBO are online classifieds where Vacation Rental owners pay to advertise their space. The site puts guests in contact with owners or property managers.